Wherever there is darkness in the world, whenever strife and ignorance prevails, the Lord incarnates to shine his divine light on the darkness. He grabs hold of the flattering world, preventing it from drifting too far astray. 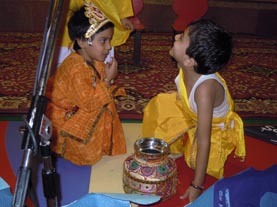 Sweeter than sugar, tastier than curd, sweeter indeed than honey is the name of Krishna. 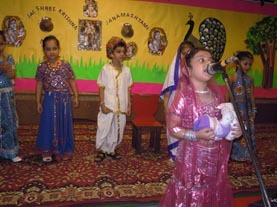 Lord Krishna and friends attended K.R. 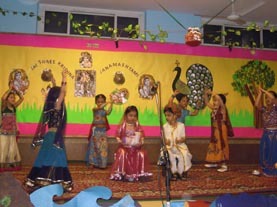 Mangalam World School on Thursday (9th August 2012). Yes, that is how it appeared as K.R. 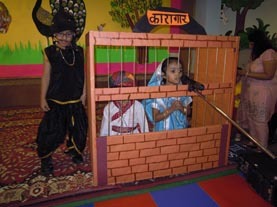 Mangalam World School celebrated Janmashtmi, soaking in the mood of festival and making kids curious about life and times of the notorious Lord. 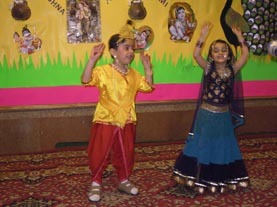 Kids came dressed as Radha-Krishna, with a beautiful smile on their faces entered the premises. 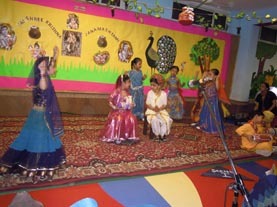 School decorated with flowers, buntings, swings and pictures of ‘Makhanchor’ look like Vrindavan where little angels enjoyed watching movie on Lord Krishna. 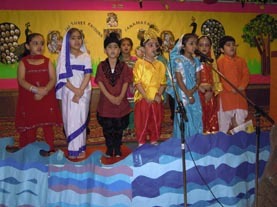 The students of Class KG Mars presented a special assembly on Lord Krishna’s birth. 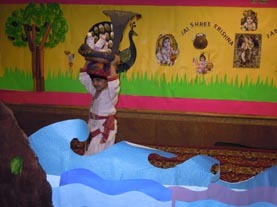 They donned the roles of Lord Shri Krishna, kansa , gopikas and many other characters. 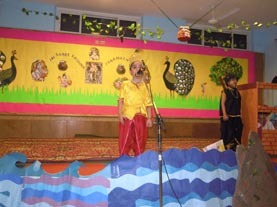 They won the heart of the audiences by portraying Krishna as , in various perspectives: a good child, a prankster , a model lover, a divine hero and the Supreme being. 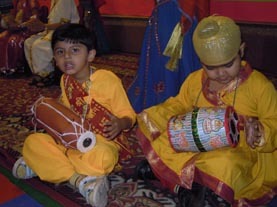 Fun and frolic marked the presentation.